Home / Automotive / car window tinting / How Will You Benefit from A Car Window Tint? How Will You Benefit from A Car Window Tint? 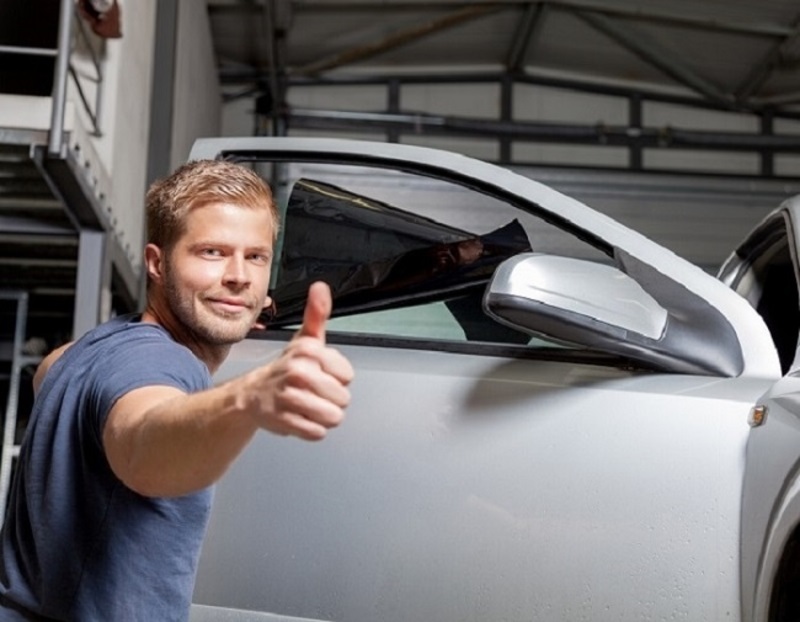 Your car is one of the valuable assets, and you will obviously want it to last for a long period of time. If you install car window tint, it will protect your vehicle. Window tint helps in blocking harmful rays of the sun which can discolour the leather and fade the upholstery. Moreover, it will protect the interior of the car like the seats from cracking and warping. Hence, your car will look newer longer. Window tint can also block windshield glare and will keep eye fatigue from the bright night time headlight and the direct sun rays. One of the primary benefits of window tint is that they will be able to reduce the heat in your car. While regular windows are capable of filtering only 30% of the heat, a professionally installed tint filters about 80% of the heat. Reduction in heat can offer you a comfortable and luxurious cool condition even during the summer time. Another benefit of cool car interior is that it can save you some fuel as you do not have to use the air conditioner. A cool car interior can preserve the interior of the car. Continuous heat development might lead to the development of cracks in the leather seats and faded upholstery. Car window tinting is capable of blocking about 99% of the harmful ultraviolet rays of the sun. This might accelerate skin aging and other skin damages. Even clear window tint can block out the harmful ultraviolet A and ultraviolet B rays of the sun. In case you drive for an extended period, window tint will offer crucial advantages for safeguarding you against the risk of damaging your skin. The safety benefits of installing window tint are not to be underestimated. Tints have been designed to prevent glass windows from shattering when an object hits this. During a car accident, passengers can be protected from the flying shards of glass or from being ejected through the windows. Moreover, it will make it difficult for the thieves to break in through the glass of the car. This is an obvious advantage of car window tinting. A window film can prevent visible light from making its way to the interior. Thus, it becomes difficult for your prying eyes to see what is going on inside the car. In a normal situation, a car burglar is motivated to commit theft when he/she can see the interior of the car. If they are unable to see what is inside, it will keep your things safer. Dyed window tint is the most economical choice but is also less functional than the others. It looks flat and opaque, offering some privacy while permitting visibility from inside. Metallized film is another tint that keeps heat away from the interior. The metallic content helps in strengthening the window. Carbon window tinting has a matte and dark finish. Unlike, carbon tint doesn’t fade with time. Ceramic tint is the highest quality tint. It offers maximum visibility in the day, as well as in the night. Make sure that you choose the right window tint for your car and clean it from time to time to make your car look newer for a longer period.